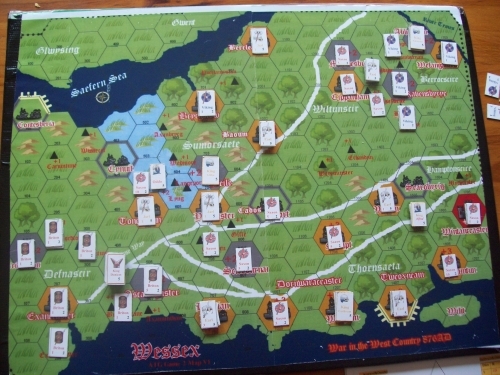 Welcome to the second game in the Alfred the Great (ATG) campaign series. 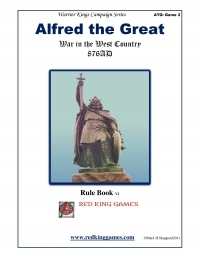 In the first game: ATG the Great Heathen Army 871AD, Alfred had led the West Saxons to victory of a sorts, spectacular but not comprehensive. Ivar the Boneless the Great high King of the Vikings is dead, killed in Ireland in 873AD and his Lothbrok kin, Halfdan and Ubbe had traveled north to fight the Picts and the Britons of Strathclyde, And then to Ireland, to reclaim the and lost by Ivar. This left Guthrum and his fellow Kings Anwend and Oscetel to mount another attack on Wessex. What kind of plan had Guthrum hatched? We know that he moved 1,500 men quickly and with stealth and seized the fortress of Wareham. There to be joined by a huge fleet of 3,500 Vikings. Fortified Wareham Situated on the Southern coast of Wessex had proximity to the West Country Fyrds of Devon and Dorset that Guthrum would need to bring to battle, a safe harbor for his warriors that had traveled by ship but also he was within striking distance of Winchester, the capital of the West Saxons and a town that Guthrum would know that Alfred would defend at all costs.